In the BLS employment data an Uber driver is a contingent worker. The definition of a contingent worker is someone who doesn’t have an implicit or explicit contract for ongoing employment. 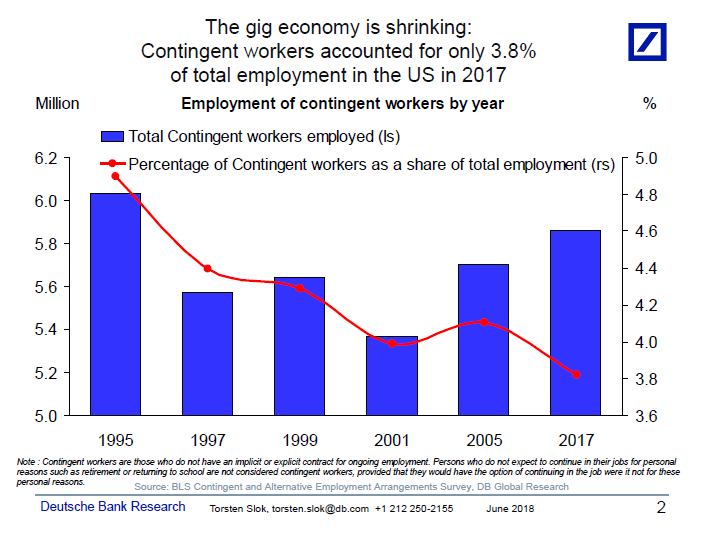 The chart below shows that the share of contingent workers in the economy has fallen steadily over the past twenty years. The latest data shows that the total number of contingent workers is around 6 million, or roughly 4% of total employment. Mid-term Election Coming Out Party?